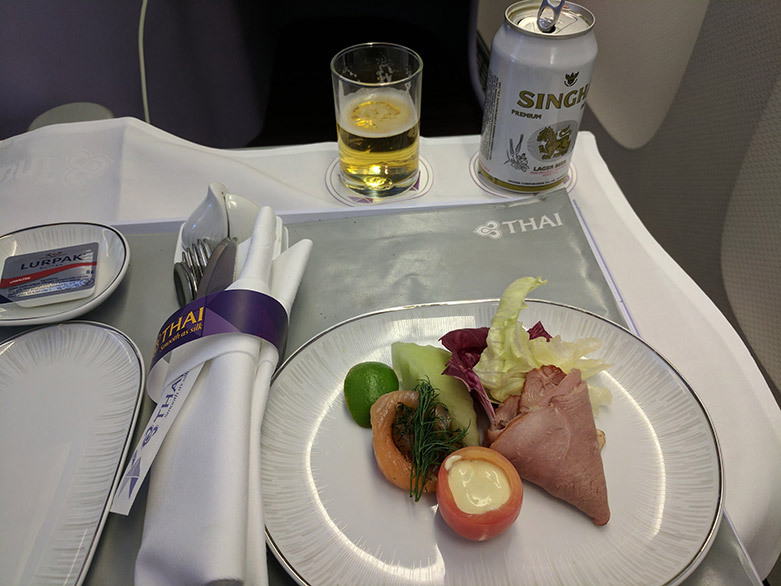 Another in my catch up series of pics from last year I forgot to post up – Bangkok on the way to Bali via Thai Airways. 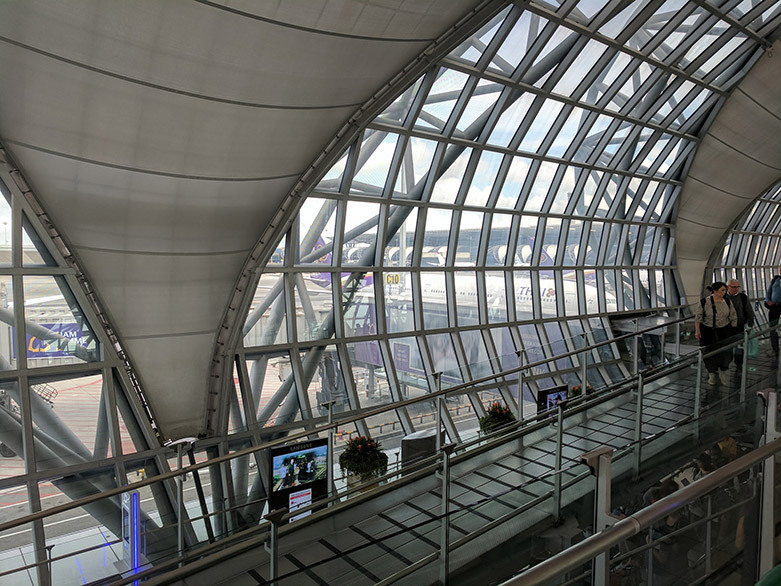 I do think the airport looks cool and it’s neat to see all the Thai birds. 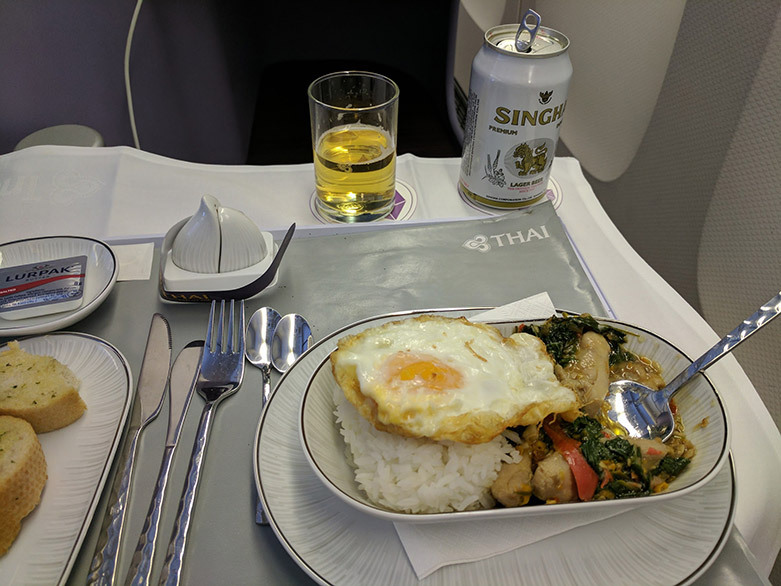 I had an overnight layover here returning from Krabi after working at KoHub in Koh Lanta. I spent it in the city and went to a cyber cafe to play Counter-Strike with some guys from KoHub having a LAN party night. Wish I was there! I’ll post more on KoHub later. BKK airport itself is not the greatest place to spend a night or try to sleep. If you have access to the lounges, they aren’t 24/7, and the airport itself isn’t super sleep friendly. So a close cheap hotel is not a bad option. Screen size and quality seeming a bit dated on this bird. 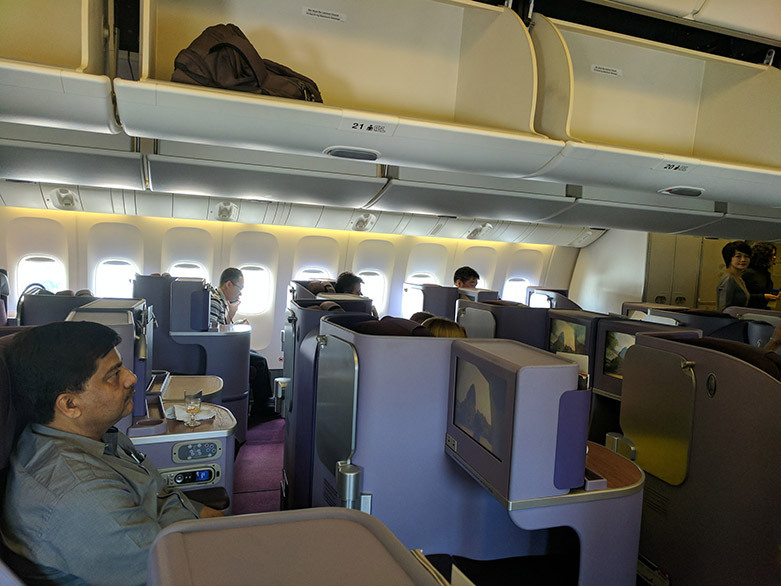 Reasonably full business class cabin, although certainly many seats were still available. 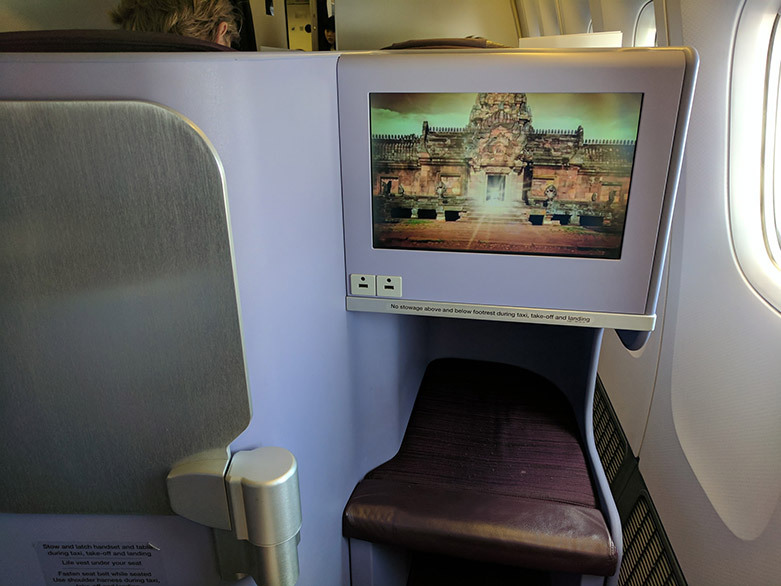 Comfortable lie flat seats. 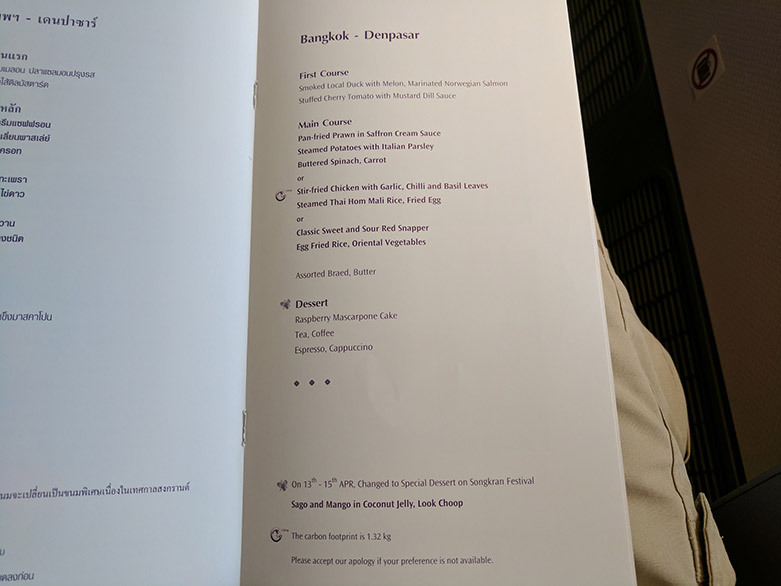 The menu – I got the chicken. I don’t recall how it was anymore! Not the greatest presentation of a dish though. 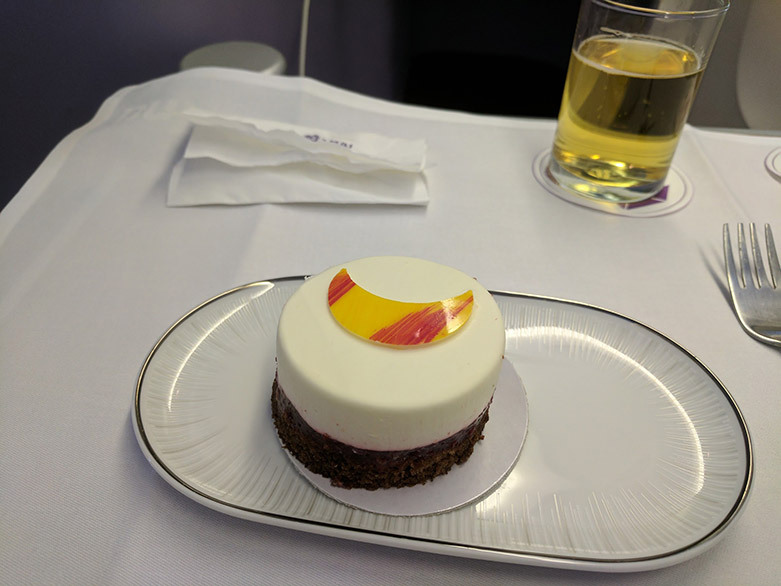 Dessert looks tasty though.